A review of optical microscopy instrumentation, tools, and tips. Did you know that about 10% of men are colour blind? This means that if you are in a room giving a seminar to just 20 people with a split of roughly half men and half women, chances are there is at least one colour blind person in the room. 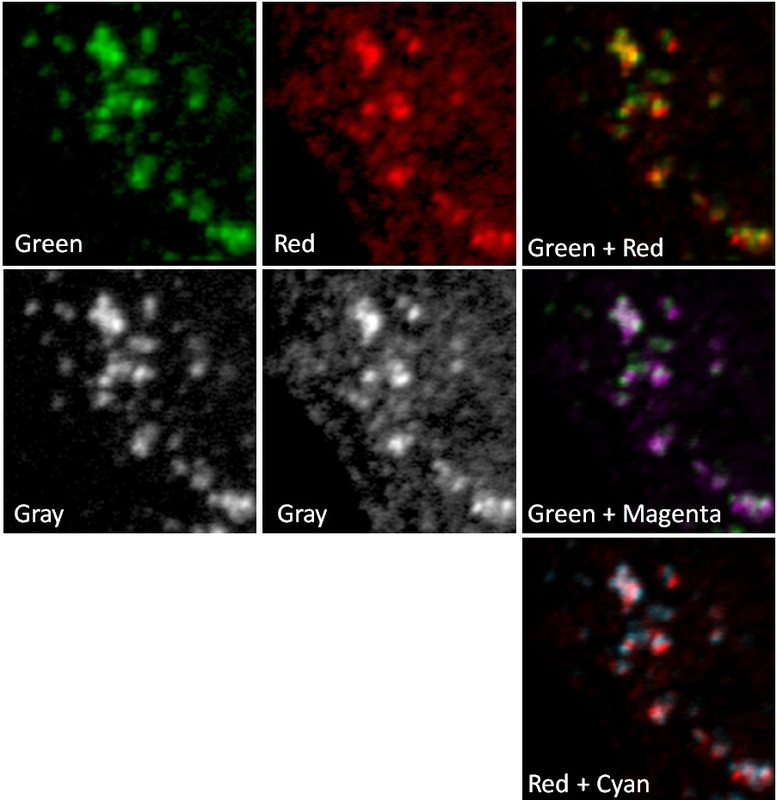 It is really frustrating for colour blind people when microscopy images are shown in red and green. They simply do not see the co-localization and are unable to judge the meaning and quality of the data. Be sensitive to your colour-blind audience members, and consider changing your colour coding! For multi-panel figures use grayscale for the individual images – your eyes are more sensitive to grayscale than to red and blue especially. Only use colour in the overlay. Use green and magenta or red and cyan instead of green and red. The overlay or co-localized regions will appear white. This entry was posted in Co-localization. Bookmark the permalink.